• Manufacturer's Representative of commercial roofing products for a combination of over 100 plus years experience with seven staff members. • Combined 100 plus years of knowledge in commercial roof installations. • Skilled in BUR, EPDM, Hypalon, Modified Bitumen, Metal, and TPO roof installations, roof coatings, and roof accessories. • Company's staff covers the state of Ohio, Michigan, Indiana, Kentucky, West Virginia and Western Pennsylvania. • Received recognition for holding top ten and number one Sales Representative position. • Set up and implemented successful product distribution in six states. • Established loyal customer base through excellent customer service with product knowledge and regular follow up procedures. • Expanded company's account base by more than fifty percent in the last ten years. • Continues to increase new territory and distribution for roofing products. • Developed highly successful marketing strategies. • Consistent increased sales quota. • Maintains membership with numerous roofing organizations. 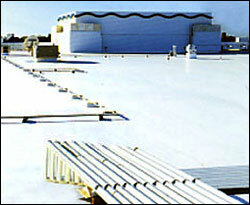 • Created architectural delegation force for roofing products that company represents. 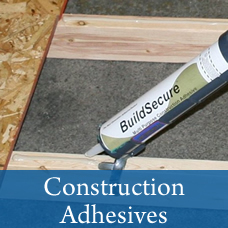 • Delivers product demonstration seminars and workshops for distributors and roofing contractors. • Performs on the job training for newly approved contractors. • Organizes and participates in job site inspections. • Prepares roof maintenance programs for building owners. • Manage, maintain and write specifications for a major telephone company, condo association and shopping centers.